When you walk through the streets these days you might see a whacky vehicle driving around. Then you might ask if people coming from the future lost their way and hit our roads. At this point we can reassure you. 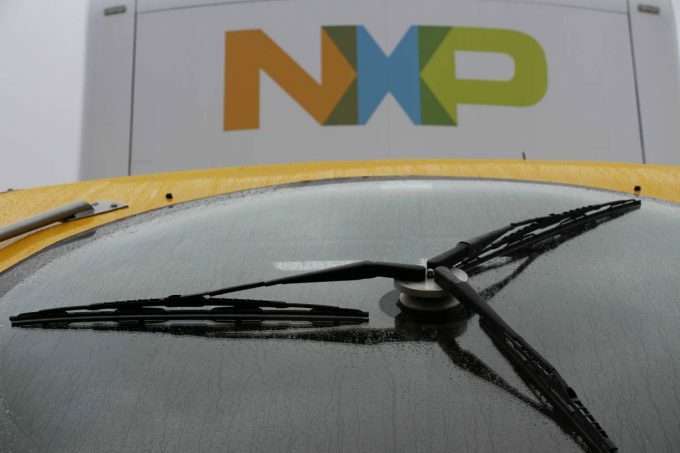 The futuristic truck is underway on behalf of a special mission: The NXP IoT Truck Smarter World Tour. 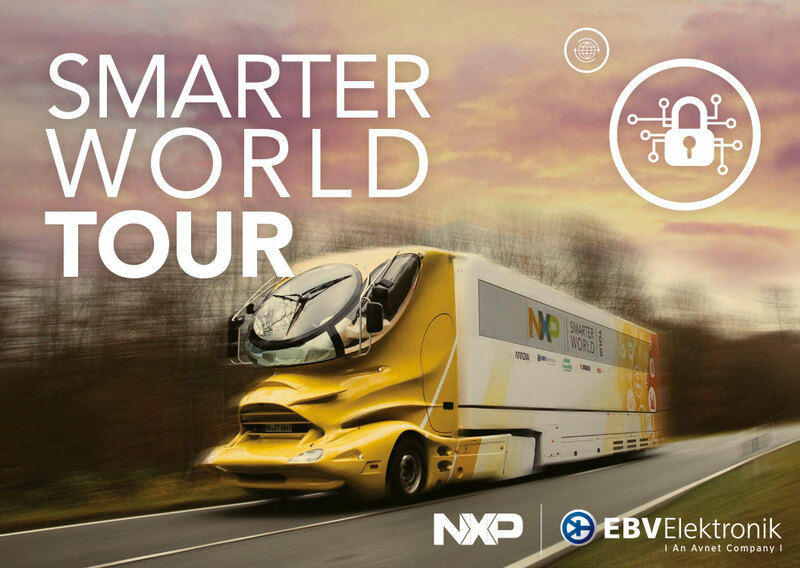 The Dutch semiconductor manufacturer NXP, partner of EBV Elektronik, has stuffed this special vehicle with plenty of technology and visual material to explain the fascinating and diverse sphere of the Internet of Things (IoT). You could also describe it as an IoT lab on wheels. And the best thing about it is that the demos inside show devices not coming from the future but which are in operation already today. Once the truck will reach one of its destinations it will get even bigger. The trailer can be extended so that it really looks like a monster truck finally. But the space is needed, because technology representing multiple areas need to find a place inside. 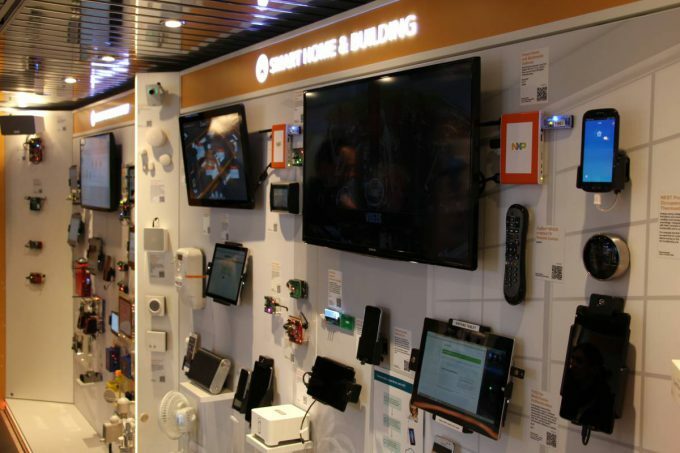 There are devices and applications for smart buildings, smart cities, secure connected vehicles, secure mobile, wearables, medical, and many more. 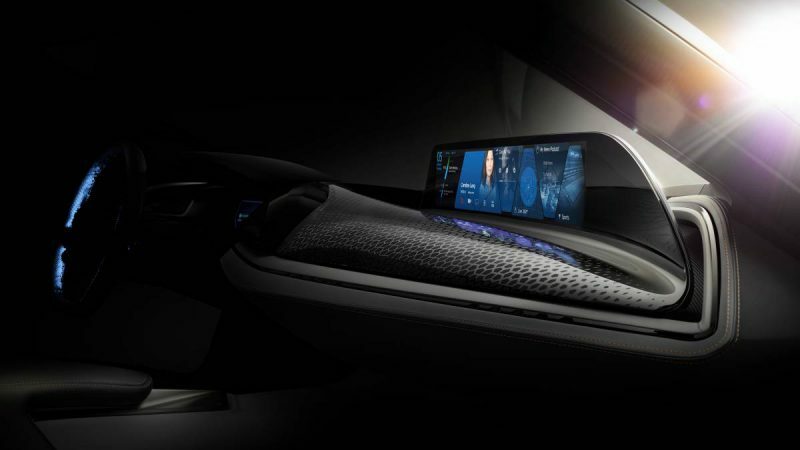 The possibilities of IoT technology seem to be endless. So you might imagine how many devices and demos can be found in there. In order to explain everything in detail, the roadshow will last almost the entire year and will lead through 16 countries, 86 cities in Europe with 100 stops within 200 days. And the first stopovers already lie behind it, in Caen and Angers in France. Today the truck stopped in the French capital Paris, where a big media and VIP event took place. Partners of the Smarter World Tour, including EBV Elektronik, presented and explained the demos being displayed in the truck. 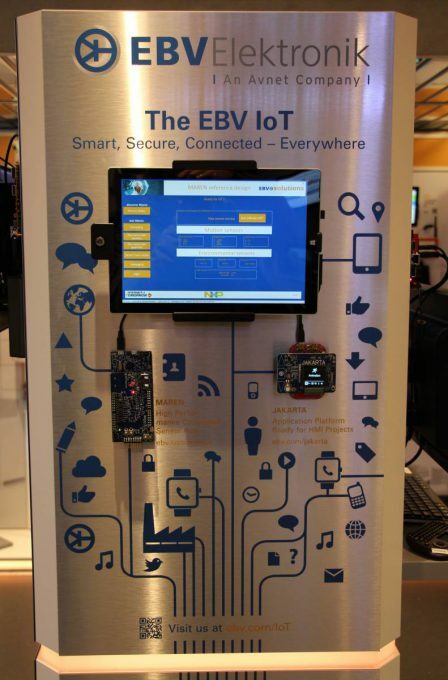 EBV is on board with its solutions JAKARTA and MAREN, platforms designed for various IoT applications. 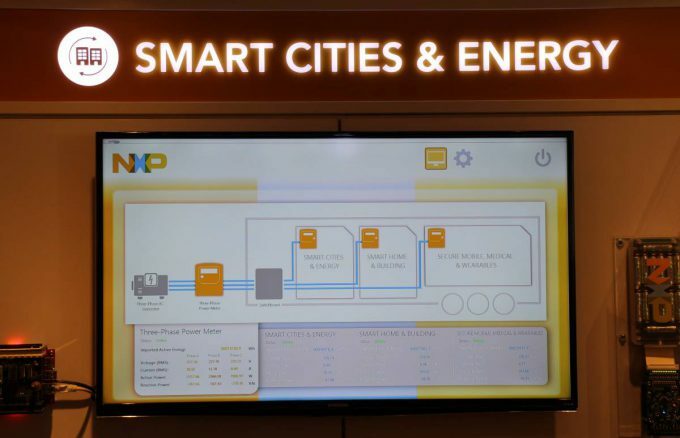 The event in Paris, so the speak, marks the official launch of the NXP IoT truck Smarter World Tour. 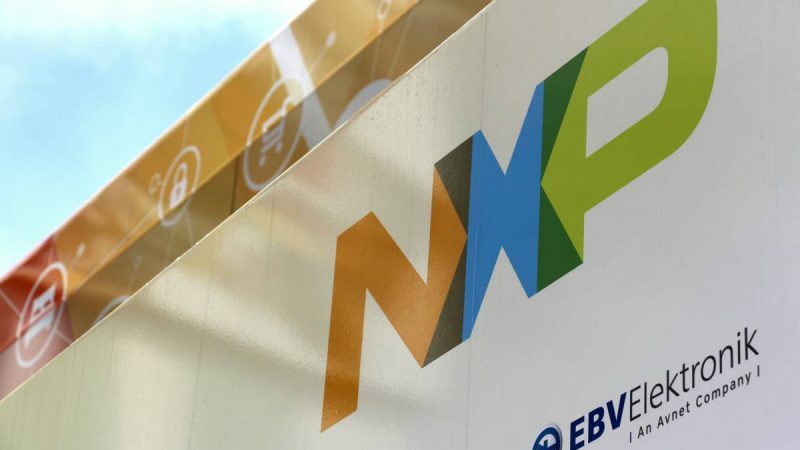 Next stop will be at the NXP site in Toulouse before the truck will reach one of the major stage finishes at the end of February in Nuremberg, Germany, when the leading international fair for embedded systems will take place. At embedded world 2016 trade fair, with about 900 exhibitors and 1,600 speakers from 42 countries, experts of the semiconductor industry will meet. It will also be one of the most important events for EBV Elektronik this year. 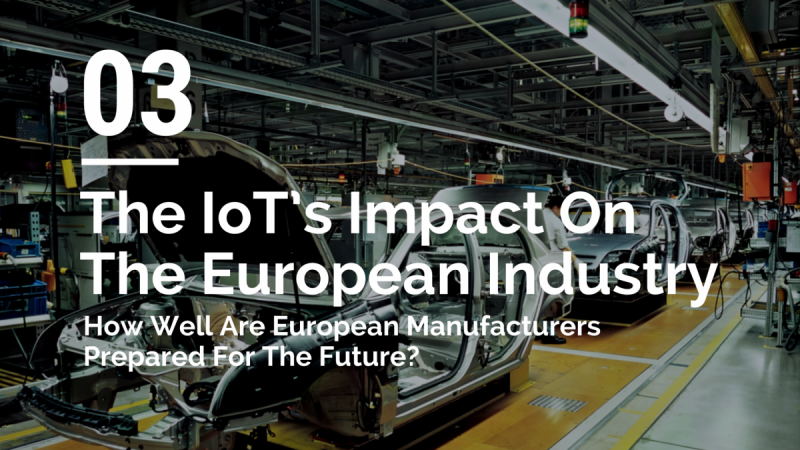 With its manufacturing partners and their application specialists, EBV will present to the latest technologies, applications, and technological trends for the Internet of Things and Industry 4.0. 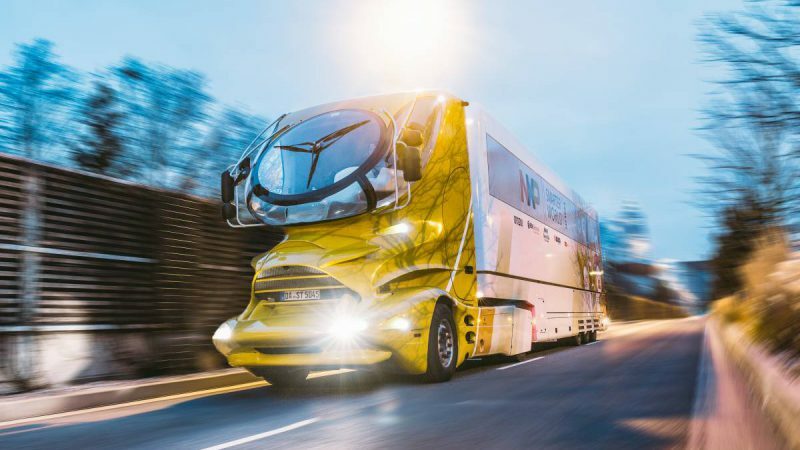 So keep your eyes open and watch out for this futuristic looking truck when you go out on the streets. It might be possible that you also get infected by the fascinating world of the Internet of Things. Internet of Things (IoT) is definitely taking the world by storm and is actually proven beneficial, as well as effective and convenient. This kind of project is really fun because you get to see how IoT works in a nutshell. You may be aware of how IoT operates but you only know for a certain extent. And seeing everything about IoT makes the complexities of it easier to comprehend. I hope the truck goes off to other places and actually make a world tour because many people, especially the generation today needs to understand the true essence of IoT, including the possible risks and complications.